Similar but not identical units may be assigned at the last moment based on unforeseen circumstances. The maximum occupancy is up to 2 guests per bedroom. Additional guests are $15.00 usd per day per person and is limited to 1 per condo only in 2 bedroom, 3 bedroom and 4 bedroom basis. Additional bed is an extra $15.00 USD per day, subject to availability and prior reservation. Our properties are adult and family oriented vacation resorts and we do not tolerate rowdy guests that create a continuous disturbance or threat to any other guests. Each condo comes with the appliances and amenities as listed. Please familiarize yourself with all the amenities and services we provide by clicking here. Reservations may be made by major credit cards; American Express, Visa, Master Card, Discover Card and Paypal. When booking a reservation with a check in date more than 30 days before the check in date, a payment of 50% will be required to confirm the reservation. The remaining balance will be automatically collected 30 days prior to the check in date. A reservation booked with a check in date less than 30 days from the check in date will be required to be paid in full. Reservations with a check in date more than 60 days from the check in date will be offered an additional 10% discount nonrefundable option and must be paid in full. **Holiday Reservations do not apply for the nonrefundable option. Check with Reservations staff if your dates apply. At check in you will be required to present the credit card that was used for the payment of the reservation. Additionally a photo ID (driver’s license, state ID, Mexican IFE or passport) must be presented. The name on the credit card must match the name on the ID. If the person who paid for the reservation will not be present at check in please contact the reservations department at reservations@playaassoc.com to validate the credit card and authorize the charge, otherwise, we will not be able to deliver the condo. A reservation can be cancelled or changed with no fee until 15 days prior to the check in date. Reservations 14 days or less to the check in date cannot be changed and are nonrefundable. Holiday reservations that include December 25 or January 1 can be cancelled or changed with no fee until 31 days prior to the check in date. Reservations 30 days or less to the check in date cannot be changed and are nonrefundable. **NONREFUNDABLE reservations cannot be changed and no refund will be applied upon cancellation of the reservation! To protect against cancellation caused by unforeseen events such as illness, strikes, weather, acts of GOD, Etc., we recommend you purchase Trip Insurance to insure a refund of your deposit. A $250 USD security deposit on your credit card will be kept for any open balances or adjustments during your stay (in room mini bar, phone and concierge services). If you choose to use our charge to room card feature an additional $250.00 security deposit will be required. Excessive cleaning including upholstery, breakage, soiling or damage to the interior or exterior caused by the renter may be subject to additional fees to the renter. You are required to leave the unit as you received it. Check in is at 3:00 PM. If you arrive early we can secure your luggage until your condo is ready. Check out is at 12:00 PM. For late departures our fitness club can secure your luggage and provide you with lockers, showers, towels and toiletries so that you can enjoy the remainder of the day and freshen up for your return trip. The personally identifiable information you provide to us for making a reservation is made available to the applicable hotel for the purpose of meeting your reservation request. After making a reservation or completing your stay at a Condo Hotels Playa del Carmen, unless you tell us otherwise, the information you provide will be used by us for marketing of Condo Hotels Playa del Carmen hotels. Condo Hotels Playa del Carmen may use the services of third-party mail houses for the sole purpose of mailing materials. After your stay we retain your personally identifiable information including details of your stay, room type and accommodation type. When we need to collect personally identifiable information from you to provide you with a particular service, we will ask you to voluntarily supply us with the information we need. For example, if you would like to make a reservation at one of our hotels, we will ask you for information such as name, address, telephone number, email address, credit card number, and room preference to process your reservation. We will use your email address to send a confirmation and, if necessary, might use the other information to contact you for help in processing the reservation. We will also use your contact information to: -send you a pre-arrival message summarizing your confirmation details and providing other information about the area and the hotel; -notify you about special offers and promotions as described in this privacy statement; as well as -send you periodic satisfaction or market research surveys. You can opt out of marketing communications at any time. You can also opt out of research surveys. We protect the personal information you share with us. Access to your personal information is limited to those individuals within and working with Condo Hotels Playa del Carmen who need it in order to do their job. You should be aware that we may be required to disclose your personal information in response to subpoenas, court orders, or legal process or to establish or exercise our legal rights or defend against legal claims. We may also collect and possibly share information in order to investigate, prevent, or take action regarding illegal activities, suspected fraud, misappropriation or infringement of our intellectual property rights, defamation or damage to our reputation or goodwill, situations involving potential threats to the physical safety of any person, or as otherwise required by law. 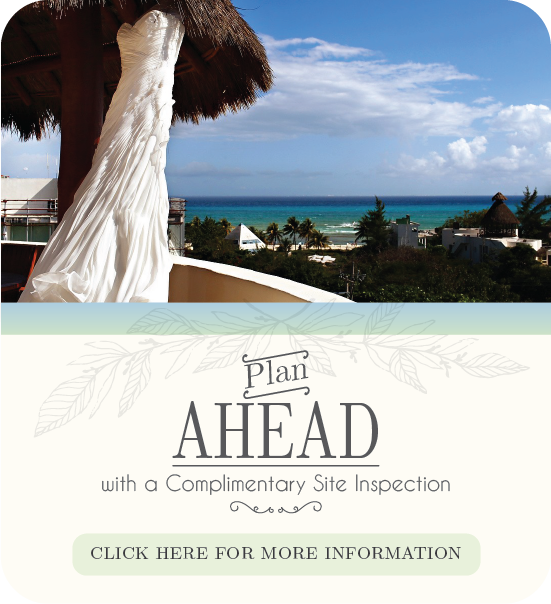 Condo Hotels Playa del Carmen understands the importance of protecting children’s privacy. This web site is not designed for or intentionally targeted to children 13 years of age or younger. It is not our policy or our intention to collect or maintain information about anyone 13 years of age or under. If you are 13 or under we ask that you do not access the site or submit any personal information to Condo Hotels Playa del Carmen.